TL; DR: Between 2014 and 2015, three hosts joined forces to create the Umbrellar Group, New Zealand’s largest web hosting company. That merger involved the acquisition of the Domains 4 Less brand, a secure hosting solution developed to get entrepreneurs online fast. Rather than offering customers phone support, Domains 4 Less delivers websites that work by building top-notch infrastructure that proactively tackles redundancy and security issues. With the company’s unique perspective on Kiwi client needs — and the backing of the Umbrellar Group — Domains 4 Less continues to thrive as a one-stop shop for hosting needs. When three successful New Zealand hosting companies — Digiweb, Freeparking, and Web Drive — joined the Umbrellar Group as part of the roll up strategy, the group instantly became a force in the Kiwi market. The roll up created the biggest web hosting company in New Zealand — providing holistic web solutions for entrepreneurs. “Essentially, we strengthened our position in the web hosting sector to become the largest player in New Zealand. 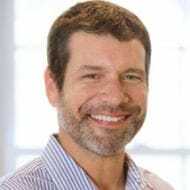 Today, we’re the Umbrellar Group, and we have a 33% share of the nation’s domain name and hosting market,” said Rob Rolls, the Umbrellar Group’s Head of Online Brands. When the companies merged, executives initially made plans to consolidate some of the different offices. While that was considered the traditional approach, the Umbrellar Group forged a new path, according to Rob. The success of Domains 4 Less has helped the Umbrellar Group become the leading host in New Zealand. The acquisition of Domains 4 Less has been a factor in the Umbrellar Group’s success. 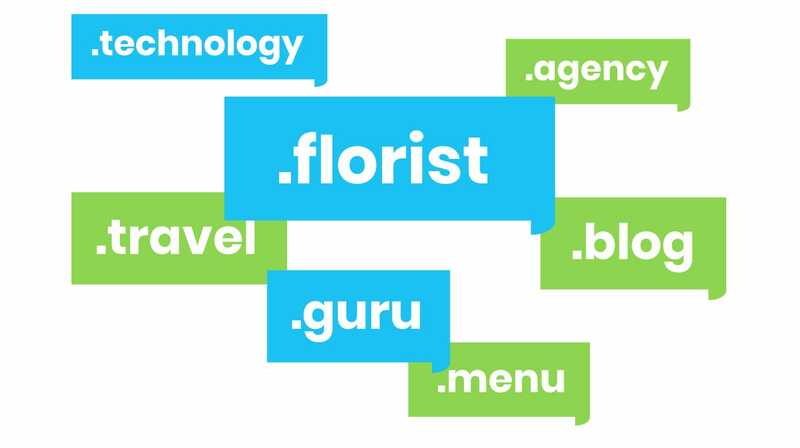 It brought Domains 4 Less aboard to expand both its reach and expertise by offering local hosting with strong support at an inviting price. Domains 4 Less helps entrepreneurs get online fast with secure hosting, domain names, email, SEO services, and robust support. More than 30,000 Kiwis trust Domains 4 Less as their hosting provider, and it expands the Umbrellar Group’s footprint through its location in Albany on Auckland’s North Shore. Domains 4 Less also contributes to the Umbrellar Group’s unique culture. “We have teams spread throughout New Zealand’s major regions and cities. From a cultural perspective that gives us input from small towns and big cities. It balances our organization so we’re better informed and have a more well-rounded perspective,” Rob said. The Umbrellar Group has three datacenters in New Zealand, providing redundancy to customers, whether they’re using dedicated hosting, shared hosting, or anything in between. “Most of our customers are in New Zealand, Australia, and Southeast Asia, and our datacenters make us a very safe choice for this part of the world,” said Rob. When Digiweb, Freeparking, and Web Drive came together, the newly formed Umbrellar Group split up into a cloud division and an online division. Over the last four years, the cloud division has gained experience in adapting to a changing marketplace. The online division has evolved, too. While most of the Umbrellar Group’s customers still buy individual products, the company is transitioning to focus on more holistic business solutions. According to Rob, the group is bringing together website builders, security products, and email marketing platforms to become a one-stop shop. Another development that has benefited both the group’s cloud and online divisions is bringing in the Salesforce customer relationship management (CRM) platform. “Because of how we grew, we’re an operationally complex company. Before we had Salesforce, we dealt with everything manually, which meant that it was difficult to understand what our customers wanted to achieve. We had to work twice as hard to meet their needs,” Rob said. Salesforce’s CRM allows all the Umbrellar Group’s brands, including Domains 4 Less, to organize customer data, find new customers, and quickly identify their goals. Rob said bringing in the power of Salesforce allowed the group to identify market opportunities for the solutions it wanted to develop. With a high-performance cloud division, a solution-focused online division, and Salesforce’s CRM platform, the Umbrellar Group’s brands can offer secure hosting, robust services, and a high level of customer service. When building Domains 4 Less, the Umbrellar Group didn’t want to fall into the same trap that had caught so many other budget hosting companies. According to Rob, many hosts cut prices by cutting the redundancy of their solutions, which can leave customers in bad situations. A company may offer phone support, but cut money on its actual infrastructure. Customers may value talking to a representative but could end up spending more hours on the phone because the product itself is always breaking down. Domains 4 Less offers Kiwi entrepreneurs an easy way to get online with hosting, email, domain, and SEO products. Domains 4 Less’ impressive architecture includes several valuable services. Customers appreciate its fast page load times and its team monitors datacenters 24/7, performing daily backups to keep data safe and secure. In addition, they fight spam and viruses by running two extensive anti-virus engines — including ClamAV and Kaspersky Labs. If network or hardware outages ever make websites inaccessible, customers can claim a credit on their account. Unlike other budget hosting companies, the Domains 4 Less team believes that customers want a website that works instead of access to 24/7 phone support. That’s why it invested in its datacenters. And if anything goes wrong, customers can still reach out to an associate through email or live chat. One of the team’s greatest accomplishments has been growing its market share in New Zealand. “We have such a big market share that vendors give us healthy reseller incentives. And, globally, we punch above our weight,” Rob said. Another reason that New Zealand is a great place to provide hosting is its local registry, InternetNZ. Rob said the team at InternetNZ works hard to make the country a world leader in the digital space. As a registrar, InternetNZ supports Domains 4 Less, and the Umbrellar Group in several ways including having one of the best DNS uptime’s of all registries globally. The services InternetNZ provides also complement the work the Umbrellar Group does with Salesforce. “The overall goal is to push for a more self-serving knowledge base. Both InternetNZ and Salesforce facilitate that,” Rob said. Even within New Zealand, the Umbrellar Group’s company culture differentiates it from the local competition. Because of its dispersed offices, entities like Domains 4 Less have people working in New Zealand’s biggest cities and in its smallest regions. The group brings employees together for outings and has an annual event for team members from all of its office locations. On one recent trip, the Umbrellar Group took employees on a ferry ride to Waiheke, an island 20 minutes off the coast of Auckland. The team members volunteered time to clean up the island and assisted the Waiheke Restoration Trust. Then they celebrated the holiday season with each other. “It has beautiful vineyards and great views. We spent the day helping others, drinking wine, and shooting arrows at an archery range,” Rob said. It’s yet another example of why the Umbrellar Group and Domains 4 Less are such unique places to work, and they pass that family feeling on to their customers.